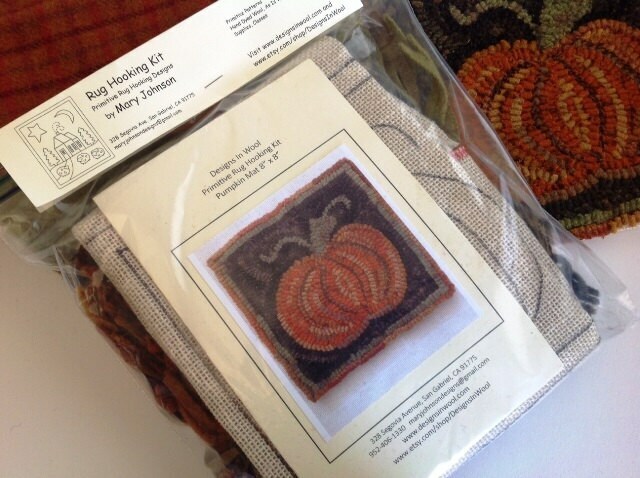 This listing is for the KIT to hook my design "Pumpkin Mat". The design measures 8" x 8". If you have had lessons on how to hook a primitive rug, then this is a perfect beginner project for you. Also great for veteran rug hookers. Hook it up quickly to give to a friend. It makes a great trivet for a tea pot. Or place it in a basket or use it to top an antique stool. The 1st photo shows my finished mat with the kit behind it and the pattern drawn on monks cloth or primitive linen. The 2nd photo shows the finished mat. The third photo shows how the kit comes packaged. Wool selections may vary slightly from those in the photo, but they will give the same look. Shipped on time and looks like a great design with lovely colors of wool. Will start on project ASAP. 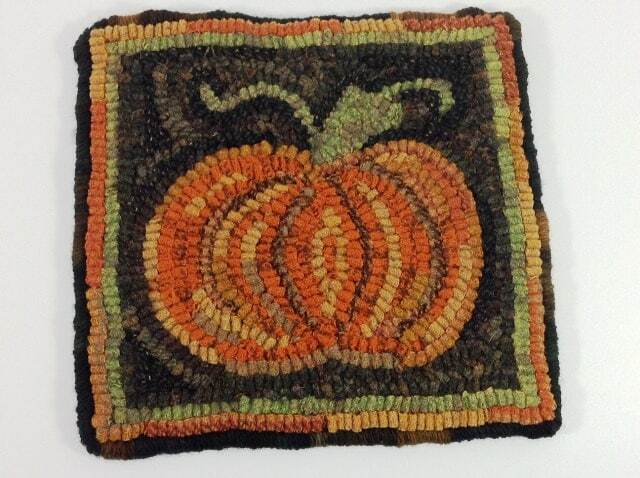 This was a great first project, everyone in my rug hooking group thought I did it pretty quickly. Thank you. 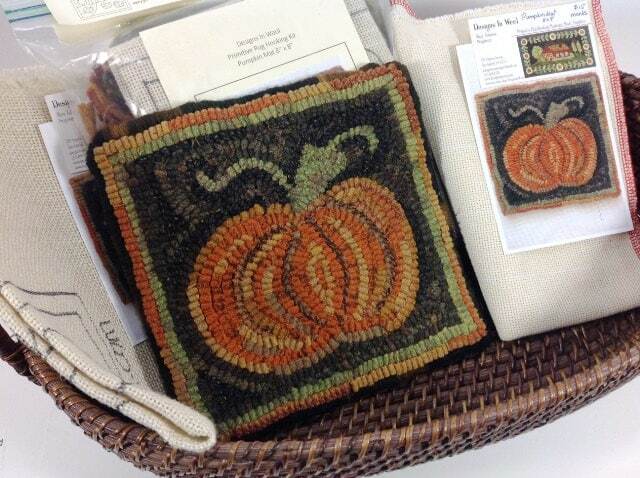 I did this kit as my second ever rug hooking project, I love the wool and it came out simply awesome.